Using examples from a variety of media and a variety of games, Spector will examine what we have learned, what we still have to learn in the future and what may be holding us back from reaching our potential as the unique medium we must strive to become. 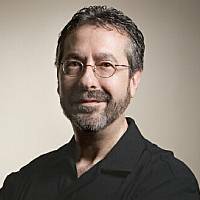 Warren Spector is a game development veteran with 6 years in tabletop games with Steve Jackson Games and TSR, followed by 21 years in electronic games with Origin, Looking Glass Studios, Ion Storm and most recently Junction Point, a division of Disney Interactive Studios. "It is always a pleasure to welcome a long time friend of the GDC such as Warren Spector," said Frank Sliwka, GDC Europe Event Director. "Warren's breadth of work from Deus Ex to the highly-anticipated Disney Epic Mickey demonstrates innovative game design. His talk will inspire current and new generations of European developers." Spector joins a large GDC Europe line-up announced to date, including late additions from the creators of Limbo and Kane & Lynch 2, plus a Guerrilla Games/Killzone 3 keynote. Other lectures include a Rare-helmed lecture on Microsoft's Kinect, the BioWare co-founders on the Baldur's Gate franchise, a lecture from Another World creator Eric Chahi on his new title Project Dust, an ESA/G.A.M.E. panel on government intervention in games, and a Heavy Rain production talk. To receive more information on GDC Europe -- for which online registration is still open until August 12th, and onsite registration will also be available -- interested parties can visit the official Game Developers Conference Europe website.